For many years, I didn't personally know any other writers but myself. That made me feel really special, and the way all my school teachers raved about my essays didn't contribute to humility. This precious snowflake illusion shattered when I was introduced to the writer community, and especially when I began querying for my first completed novel. Now I know the truth: there's a lot of fantastically talented people out there, all producing masterpieces, and 90% of these books will probably never make it out to the world, let alone traditional publishing, because the competition is so great. I'm not saying this to discourage others, but knowing one's relative insignificance helps put things in perspective when prospects seem bleak. Today, Frank Talaber is here on the blog, talking about his own taste of humble pie. I’ve been asked what’s it like, being a writer? Simple; humbling and learning great perseverance. I get up at 5AM and write until I have to trundle off to work or the cats start gnawing at my legs for food. Cats don’t care if you’re Terry Pratchett or J.K. Rowling. And after you’ve stroked your ego and written your first novel, welcome to the world of five percent. What do I mean, before I get letter bombs sent my way? What's the rest? Editing, more editing and more darn editing. Then set the manuscript down for a month or two. Then reread it and (no secret here) more editing. Now, we’re talking close to being done. One of the best things to do when editing is to read it out loud. Preferably in a room on your own, with no one around otherwise someone will think you're absolutely bananas. You can catch a lot of awkward sentences, poor flow and grammatically incorrect phrases this way. Having humility is important. As much as your mom said, "Your book is the greatest thing since sliced bread", IT AIN'T. If you check the garbage cans of even great writers, you'll find a lot of worn to the stub erasers. Also join a writers group or two. Could join a knitting class. I'm told knitters are a humble lot. While there's a lot of schlock on the bookshelves that should reside in dumpsters, War and Peace went through one hundred and one publishers before being accepted. What if Tolstoy threw it into a dumpster after one hundred? Stephen King did. He dumped his novel Carrie into the trash and said, "I give up. I'm going to stick to being a teacher." Thank God his wife had the guts to say, "You tell me you're a writer. Dust off that blown, crumpled and withered ego and put it out there. AGAIN." The next publisher accepted the book and the rest is well, "Salem's Lot." I went through 398 rejections before my first novel got accepted. That’s humbling. There's a picture that's hangs over my writing desk given to me by someone so long ago I don't remember. I dust it off every time I get another rejection. The picture is of a man sitting alone at a piano in a huge empty room. There's stacks of papers strewn about, empty coffee cups and worn pencils all around him. The caption above him reads, PERSEVERANCE. The quote below from Samuel Johnson: "Great works are performed not by strength, but by perseverance." Being a humble and persistent writer is very important. If you don’t believe me, ask yourself this question. How many literary American Classics worthy of a Nobel Award lie in dumpsters? Only dumpster divers will ever know, and after six bottles of aftershave I doubt they'd sit up and spout, "Wow, best thing since Harry Potter." Before they'd probably use the papers to keep themselves warm at night around a fire or worse, use it for toilet paper. Remember that when you want to give up. That's humbling. Last week I received an offer to work on a very well paid project, and my immediate urge was to say, "you betcha!" After all, the money would be a great help to us. Still, luckily, I took a few hours to think about it, and to ask my husband's advice. After some sober reflection, I realized there's no way I can pull this off. The project would require me to commit to around six hours of my time each day over the period of a month. Being real, it just isn't possible for me right now. I spend the day taking care of four children aged 9 years to 3 months, and I consider myself lucky if I carve out time for a shower. Any projects of mine get squeezed into random nooks and crannies of time during the day. I can't commit to six hours a day, or even six hours a week. For authors working at home, with no definite hours, it's easy to overcommit. It doesn't help that people often perceive us as having unlimited free time, and won't scruple to ask us for things and projects they wouldn't think of suggesting to someone who works from nine to five. It's just assumed that if we can work in our pajamas, the free time must be there somewhere. It isn't. At times I have to step back and remind myself why I am so passionate about pursuing a path of work that would enable me to stay home, close to my children. The answer is flexibility and availability. I want to really be there for my family, and to lead a life of reduced stress. It does not really help to be present physically and absent mentally. By nature, I'm a people pleaser. It's very deeply ingrained in me to try and show myself as a hardworking, trustworthy, focused, dependable person. 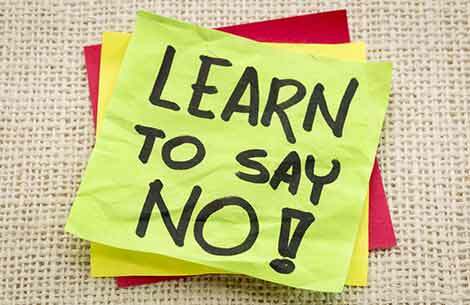 That's one reason why it's extremely difficult for me to say no, or at least not now. But when I give this a second thought, I realize that I can't present myself as a focused, dependable person by biting off more than I can chew. It's a lot better, more responsible, and more professional to say, "no, I can't do this" than to commit to something and then, around midway, be forced to humiliate yourself by admitting that you're not up to it after all. I have not always been this way. In the past, I have allowed my family to suffer, my sanity to suffer, I have cut into my sleeping/eating/showering time, I drove myself to the brink of nervous breakdown to deal with extremely demanding projects for other people - people who did not and could not appreciate what it was costing me, who did not realize that for me, carving out one hour is like setting aside a whole day would be for someone else. Then I put my foot down. There's only so much of me, and there are endless possibilities of what I could be doing, just passing me by. I refuse to be driven insane by these possibilities. I do the best I can, with what I have, and am grateful for the happy fruitful busyness of this season in my life. Today I am pleased to introduce Paul Feenstra, a Wellington-based author best known for his novels set in colonial New Zealand. When I first read Paul's novel Boundary, I was impressed by the obvious amount of detailed research that went into the book. Paul puts a lot of effort into meticulous research as he works on his fiction, and he offers his take on why this is one of the most important elements in writing historical fiction. The druid looked skywards and stared with wonder at the glittering stars. It never ceased to amaze him how the Earth’s rotation made it appear the stars moved. He lowered his head, glanced around and waited patiently for a sign, any sign, although he knew not from where it would come. He took a deep breath and continued his solitary vigil. He stood on a large rock and faced east. Directly ahead was the vast ocean that surrounded the United Kingdom, the reassuring sound of waves incessantly unfolding on the pure white sands were comforting, but also a stark reminder all was not well. He heard it then, the unmistakable croak of a frog. It was a sign and what he waited for – the croak of the Green Puddle Frog. He shivered. The invaders would come now, it was time to warn villagers the Phoenicians would soon arrive. For a reader, how important is it to believe what is written and portrayed as fact is accurate? How many novels have you read where you’ve discovered an error? On the big screen it is less important and more frequently allowed for. In written form, a story surrounded by factual inaccuracies makes for a very difficult read. In the ‘Druid’ tale above, how many mistakes did you discover? We can surmise that the approximate year this story is set in, is before the 5th century because druids didn’t really exist beyond that. During that era they believed the Earth was the heaviest object in the universe and all celestial bodies revolved around it, they didn’t know the Earth rotated. The concept of compass cardinal points as we know them wasn’t introduced until around 1200 A.D. Research will also reveal that the name ‘United Kingdom’ wasn’t used until 1801. Some would argue that the United Kingdom lacks pure white sand beaches and it is doubtful you’ll hear the croak of a Green Puddle Frog outside Asia, and then more likely in an area of fresh and not salt water. At no time in history did the Phoenicians invade the U.K.
Do inaccuracies really matter? Yes, to me as an author accuracy is important. In my historical fiction novel For Want of a Shilling, set in 1873, I wrote that the protagonist rode through an area of bush and was surrounded by the noise of cicadas. Sure enough, I received a letter from a reader who claimed I was wrong. He insisted that cicadas didn’t exist in New Zealand at that time and the insect was introduced to the country many years later. What I wrote was an insignificant statement in a simple paragraph. For an author, it’s very easy to make an assumption and risk being wrong. I replied to my critic and politely informed him that he was in error. When I wrote that insignificant paragraph, I researched cicadas and they certainly existed [in N.Z.] during that time, just as I described. I was researching the prologue on my novel The Breath of God, and it was important that I accurately detail the facts around a particular event, in this case the grounding of a ship. But nowhere was it written why the ship met with an accident. With all the information I gathered, which included the ship’s course, speed, date, time and weather conditions, I approached nautical experts who ran a computer simulation for me. Within moments they had an answer. The ship ran aground because of an unknown half-knot current that pulled the ship from its course and the sea/wind conditions caused their non-magnetically shielded compass to vary considerably. In those particular circumstances, the ship deviated from its course by sixty nautical miles and was driven on to the rocks. The computer simulation accurately determined the location of the incident. I was hoping to attribute the blame on an inebriated helmsman, that would have made for more interesting reading. Does research matter? Absolutely. As an author I make no assumptions, and if I do ignore a fact or distort the truth to support creative writing or advance the plot, I will always detail that in the author’s notes at the back of the book. Then again, I am writing fiction. Paul W. Feenstra is a historical fiction novelist. Meticulously researched, Paul’s novels are masterfully written and similar in style to Ken Follett and Bernard Cornwell. Born in Wellington, New Zealand, to Dutch immigrants, Paul commutes frequently to Los Angeles, California, where he worked as a multiple Emmy nominated entertainment industry professional. For over 25 years he called the USA home and was fortunate to travel extensively throughout the country. His two grown children still reside in Los Angeles. 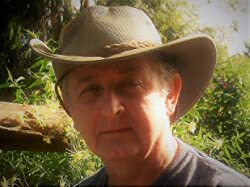 Visit Paul's author website and follow him on Facebook and Twitter. Despite what some claim, there are no hard and fast rules, per genre, as to writing in first or third person. Most books historically have been, and still are written in third person, but first person is increasingly popular, especially in Middle Grade and YA, as well as humorous chick lit (think novels by Sophie Kinsella). The choice between the two is really highly individual. Some authors love to write in first person; I have only made one attempt in this, and it will probably stay in the drawer forever. Generally speaking, first person is more informal and leaves less room for literary descriptions and world-building, which is why I, as an author of fantasy and sci-fi books that require a lot of description and world-building, strongly lean towards writing in third person. What about doing both? A chapter in third, a chapter in first? I'm not a fan of this approach, personally, but it works for some authors. One exception is short sentences/paragraphs, usually italicized, that convey characters' thoughts. Example: Mary walked down the dark, winding forest path. If I go on much longer, I will lose my way. One thing to be careful about is when making adaptations from third to first person. Some things just don't work in first person, and shouldn't be automatically converted into another tense. Example: Mary wore a stunning spangled silver gown that fell to her feet and gently rustled with every step. Her auburn hair cascaded in gentle waves down her back. Try putting it in first person and you'll see how awkward it sounds. Whatever you do, the most important thing to remember is from whose POV a chapter is told. Incorrect use of this is both confusing and off-putting to readers. Example: "What's for dinner, Paul?" Mary asked, hoping it would be lasagna. "Pasta and meatballs," Paul said, knowing Mary would be disappointed. We're either in Mary's head or in Paul's. If the passage is told from Mary's perspective, it should be, "What's for dinner, Paul?" Mary asked, hoping it would be lasagna. "Pasta and meatballs," Paul said. We don't know what Paul is thinking, though it could be added, Mary wondered if Paul knew she was disappointed. Also check out this article on first vs. third person. This post opens a new feature which I hope will become permanent - guest contributions from fellow authors. 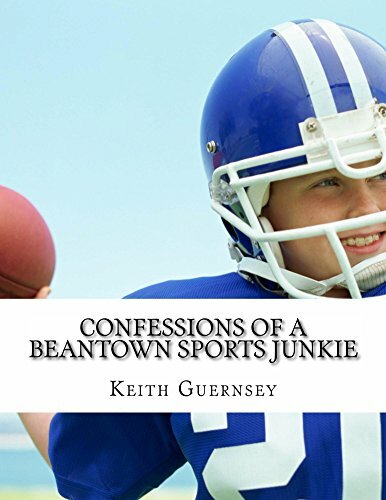 Today, we get to meet Keith Guernsey, author of Fathers and Sons - Sports and Life and Confessions of a Beantown Sports Junkie. Mr Guernsey spent a good portion of his youth playing sports, active in both football and hockey. In 1995 Keith was diagnosed with a life-threatening brain tumor (called an Acoustic Neuroma) and he underwent a ten hour operation at the world-renowned Brigham and Women's hospital where it was successfully removed. While recovering, he met and married Susan. Together they faced his next challenge. In 1997 his neuroma returned. He was to undergo yet another, more complex, operation which resulted in a complete cure, however side effects of this second more invasive procedure caused prolonged inactivity and led to severe weight gain of over 100 lbs. 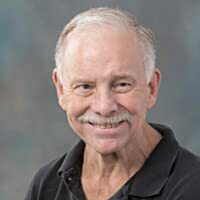 Today Mr. Guernsey is very proud of the fact that he has been able to overcome his physical challenges, losing over one hundred and thirty five pounds, and has found the time to write two successful books. Tell us a little more about the experience that led you to write, Keith. The word "cancer" has always sent a cold chill down my spine. But I took comfort in knowing it could never happen to me...until it did. Susan and I had just sat down to lunch on Friday afternoon and the topic du jour was our upcoming vacation to the beach. But then the phone interrupted our nice quiet afternoon and when I saw it was my doctor's office calling, I had a sense of impending doom. When I heard the words "you have prostate cancer", I was shocked. The look on my face said it all and Susan already knew what the diagnosis was. I managed to regain my composure long enough to hear him say "it's not a death sentence" but little else. My initial reaction was that I have beaten life-threatening brain surgery twice and I will beat this! The next step is to meet with my doctor to determine a course of treatment. But first a two week vacation on the beach with Harley and Susan. Hey after all a guy’s gotta have his priorities...right? But seriously, I see this as just a bump in the road and I will beat it just like I did the acoustic neuromas. I have doubled my resolve to be the best father, brother, husband, and grandfather that I can! My previously stated goal of dancing with my lovely wife on the occasion of your 50th wedding anniversary remains unchanged. When I bring this up Susan always says "do you still think we will be able to dance at 95"? So ok dancing is optional! But we will still be side-by-side, hand-in-hand and every bit as in love then as we are today! What is the ultimate take-away message you would like readers to get from your book? That you can overcome obstacles in life no matter how severe. Any advice on how to keep hope when all seems lost? Be persistent. Never Give up! 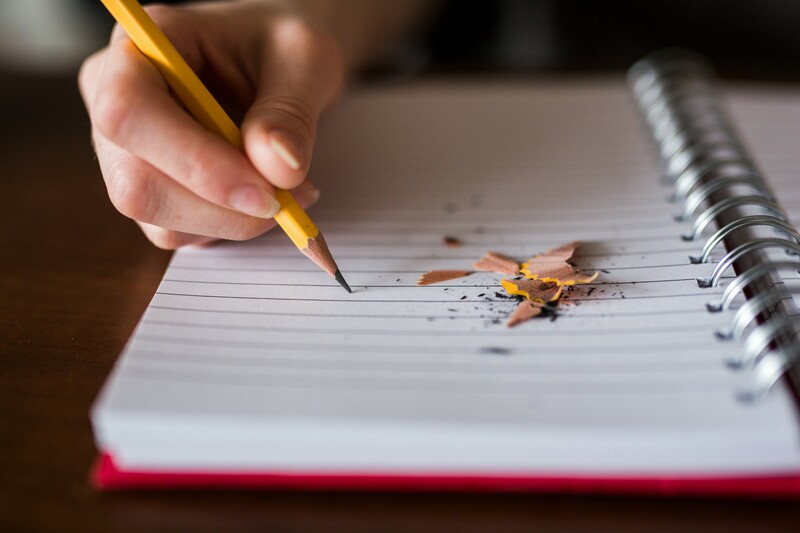 If you are a writer, then write a minimum of three sentences every day. Mr. Keith D. Guernsey is retired after a forty year career in sales and sales management with several fortune 500 companies. He currently lives on Lake Lanier with his wife Susan and four-footed son Harley. Follow him on Twitter at @thegurns. Is Big Publishing pushing diversity? This was a question that came up on a writing forum. Popular opinion: "In the past, ONLY white male authors were given the chance to be heard. The industry still heavily favors them. This is nothing more than an attempt to capitalize on the diverse stories that could be told if diverse voices were actually allowed to speak. Especially after history silenced them again and again." We shouldn't be obsessed with diversity; it should just be a natural part of life, and of books, as it comes and when it comes. Forcing an agenda is not the way. As a matter of fact, it appears arrogant - "we are the enlightened, liberal-minded publishers, and we will do our part in molding society as WE see fit". Not long ago, I was browsing agents and there was one well-established agency whose website said, "we don't accept unsolicited manuscripts at present, but if you're #ownvoices, we promise to consider your work AND read your full MS AND send feedback." "Anyone who sends me an #ownvoices query this week, will get a response with 24 hours. #mswl"
"While I wait for this lunch meeting to start: I want all the epic YA fantasy with intersectional diversity and #ownvoices. #MSWL"
"Agents, I am eagerly on the hunt for #ownvoices work by black writers in YA (any genre with a romantic plot or subplot) and adult romance. #MSWL"
"I'm still really looking for an amazing YA Fantasy #ownvoices manuscript based off Native American/Indigenous American mythology or tribal lore! I still really want this story written by a Native American writer. Where are you?! #MSWL"
I could go on and on. I won't post names, but these are major agents most new authors would be desperate to grab the attention of. This isn't just about publishing, of course. It's about PC culture in general. I have a 2-month-old baby and was reading some breastfeeding advice yesterday. The page kept referring to "breastfeeding PARENT". I thought it was just silly... I mean, what's wrong with "breastfeeding MOTHER"? I posted this on Facebook as a "haha" moment. Then people started pointing out that in some cases, transgender males have breastfed. So because of some outlandish cases, we are no longer allowed to refer to a group as the overwhelming majority of which it naturally consists. Someone then said that the words "mother" and "father" are discouraged in some countries as being sexist. I have no idea if that's true, but, you know... Common. Sense. Where has it gone?? PC culture is going on a crazy tangent. I have expressed these views before, and got called "arrogant little WASP". Well, I may be W, but being Jewish, I'm definitely not ASP. I have read forum threads of people asking, "why are there so many Jews in the film and publishing industries?" I kid you not. This kind of voice does not gain momentum, because saying "too many Jews" is not PC, while crying out "too many whites", "too many men" is perfectly acceptable. I don't think I, as a Jew, should be given extra points because Jews had been historically oppressed. I don't think I, as a woman, should be given extra points because women had been historically oppressed. I honestly believe that time is past, and now we can exist without taking so much of our gender, ethnicity, religion, skin color, and so on, into our professional lives. Don't get me wrong, I am all for diversity of gender, culture, ethnicity, race, in books. But the big question is... would such a book only be published by Big Pub if it's up to industry standards? Or would it be given a leg up to encourage a minority? The moment I come across a sub-par book promoted in the name of "diversity" is the moment I say this has gone a step too far. After reading more than my fair share about the ugly scandals and scams going on in the indie writer world, I'm left with a profound feeling of gratitude. Yes, you read that right. I'm grateful for having writing as, first and foremost, my creative outlet and hobby and art, something I will continue to do even if I never get any money or acknowledgment for it. But I'm also grateful for not being obsessed, for having a life besides writing. I'm grateful for the amazing community of authors I have found online, of fellow writers who support me, challenge me, and spur me on - and I'm grateful for not being too deeply enmeshed in the little intrigues and jealousies and back-stabbing that crop up now and then. Avoid this like the plague, everyone. I'm grateful for being raised with honesty and integrity as core values, which means that I'm investing my time into honing my craft and learning legitimate marketing skills, rather than drama and cheesiness and trying to trick Amazon algorithms or siphon money out of the KU pool. And, I don't mean this as a stab at anyone, but I'm grateful I don't write romance, because it seems that the romance writers circles are particularly heavy on the sleaze, scam and intrigue. These past few weeks on social media have been like watching a chain car accident in slow motion, with disbelief and horror and thank goodness this isn't me. It's all a matter of choices, people. Everybody knows (or, at least, is supposed to know) how not to be a jerk. It isn't rocket science. Be honest. Be upright. Don't do anything you would be ashamed to admit openly, anything that is or even seems like a trick. Reputation is a fragile thing, and once it's ruined, it's very hard to regain people's trust. I believe that cheating can only take you so far. Legitimate success is what snowballs and lasts, and makes a worthy name for an author.